Home > Brands > Peanut Butter Cups > Peanut Butter Cups - 15 lbs. When you’re hungry for Boyer Peanut Butter Cups it’s important to make sure you never run out. With 450 Peanut Butter Fun Bites, how could you ever run out? 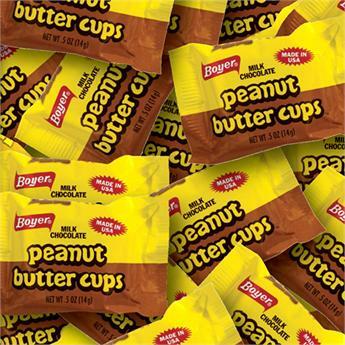 These Boyer Peanut Butter Cups are the perfect Halloween Candy, or the perfect anytime candy.